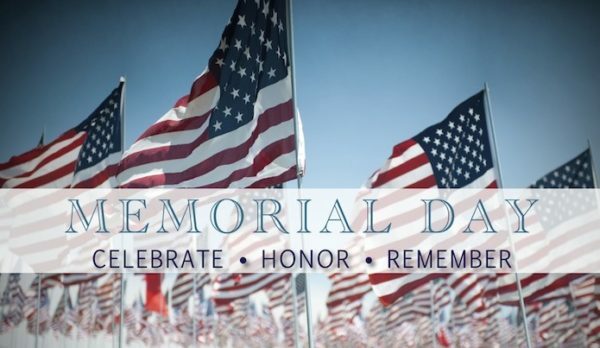 Memorial Day is the time to honor those men and women who have lost their lives in the pursuit and defense of freedom. We also honor the wounded warriors who return to society after service with illness and disability. These soldiers left their civilian life behind to transform into warriors, and that required immense courage. Let us use Memorial Day as a special, personal time, to honor those warriors by being inspired by their courage and warrior spirit. In our small community here of health and fitness, we have all committed to leave one lifestyle behind and transform into healthier selves. Changing any lifestyle takes much courage and commitment, and we can look to these soldiers for inspiration as we continue to combat our own illnesses and disabilities with healthy diet and exercise. Your enemy is the typical, unhealthy lifestyle that nearly everyone around you is living. It is hard to recognize. The status quo is so normal, so common, that we just live it with very little contemplation. You grab a coffee shop beverage on the way to work, or a vending machine treat while at work. You do not exercise the recommended six days each week. Nearly everyone is living this way, but you don’t have to. It leads to illness, early disability, and death. If you follow the status quo of diet and lifestyle, you will be increasingly tired, weak, sick, and in pain. It will not get better; it will get worse with each passing year, finally ending in dependence on others. Memorial Day is a perfect day to reflect on your willingness to fight. Resisting the tide of ‘normal’ daily unhealthy eating and a sedentary lifestyle is tough. You’ve got to press in and fight hard – like a warrior! It isn’t easy and it isn’t always fun. But the resulting energy, vitality, strength, and mental clarity that will be your new ‘normal’ way of life will be worth every bit of effort and sweat you put into it. Are you worried that you lack a warrior’s courage? The entire membership of the studio is behind you! Join us to learn how to set your life on a new course. Forget the past. It doesn’t matter what your track record is with fitness and health. We focus on the future here. And with us, your future looks great!